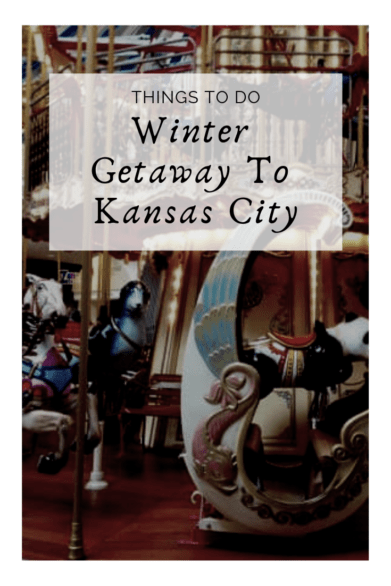 There’s no shortage of hotel options in Kansas City – I’ve tried many of them. 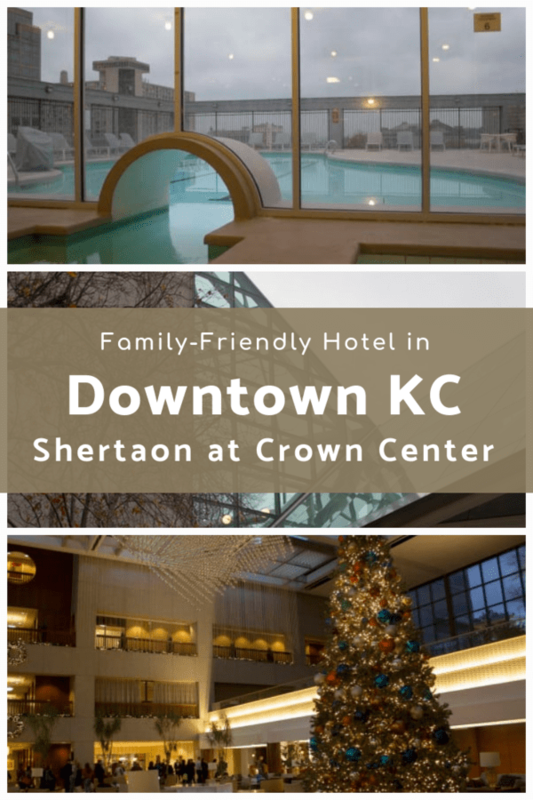 Our last couple of overnight stays have been at the Sheraton Kansas City at Crown Center. 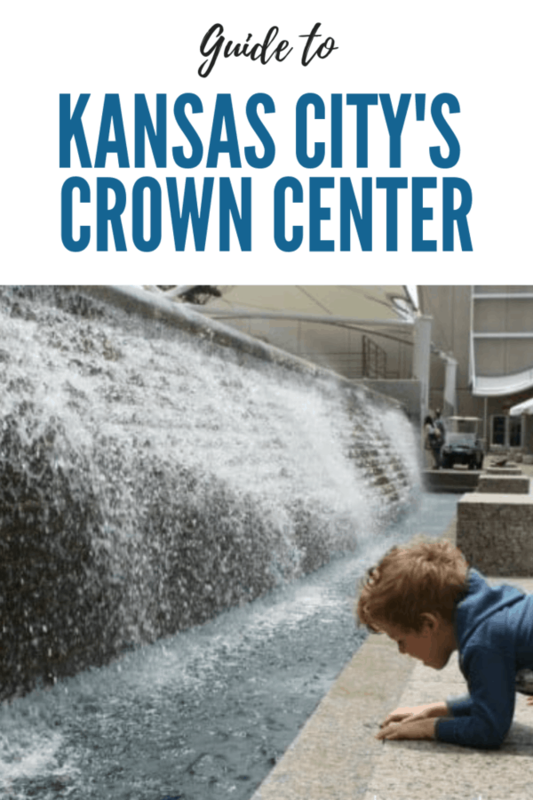 We’ve stayed there for a Radiohead concert at the Sprint Center; and this time around, we stayed there because it was centrally located near several of the family-friendly attractions we planned on seeing. Disclosure: Our stay in Kansas City was hosted by the Kansas City Convention and Visitors Bureau. All thoughts, opinions and typos are my own. 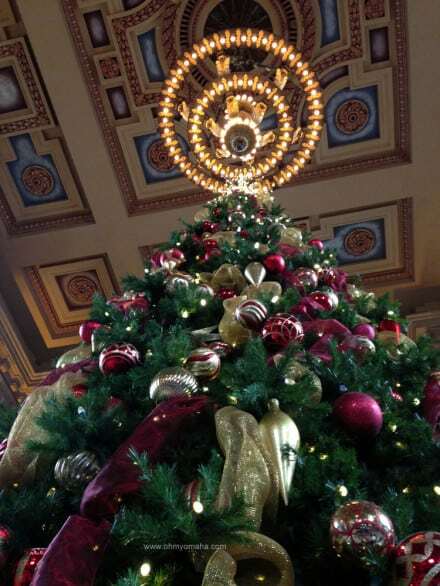 Our most recent stay at the Sheraton Kansas City at Crown Center was in December – how’s that for holiday decorations? And by centrally-located, I mean we could walk to them! How’s that for convenience? Park once and see it all. The Sheraton is quite tall – 40+ floors. The elevator ride impressed the kids. The view from the top floor of the Sheraton…on a rainy day. The top floor of the tower is the lounge for Starwood Preferred Guests. If you are one, you can enjoy complimentary continental breakfast with a view. …which my kids ignored because, TV! Seriously, kids, avert your eyes from the TV for one second. There are a couple other dining options there, including a bar & grill kind of restaurant and a cafe. The hotel is designed for large gatherings and meetings, so several floors are taken up by those spaces. It’s kinda awkward taking the elevator down from the tower with all the rooms, scrambling across the mezzanine to find the other elevator that will take you to the pool area. Pack a good swimsuit cover, is all I have to say about that. Speaking of the pool. You guys. It’s a heated roof-top pool. Sheraton Kansas City at Crown Center’s rooftop pool. 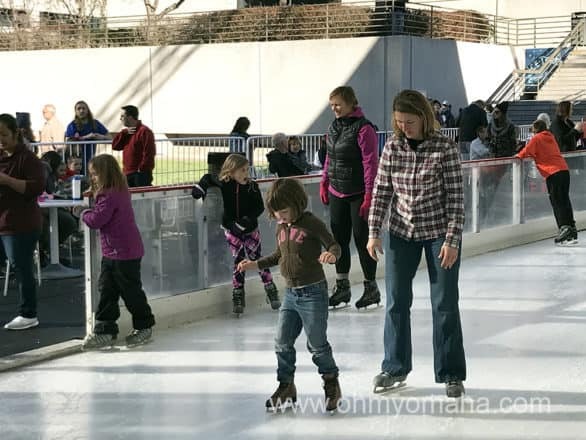 It was an unusually warm December weekend for us – no snow! So you could be swimming in the middle of a snow storm, if things timed out right. Or a rain shower, as was the case for us. In case you’re wondering, it’s not that heated (by my wimpy standards). While my crazy family swam in the December rain, I was in the hot tub, thank you very much. The short tunnel amused the kids too. 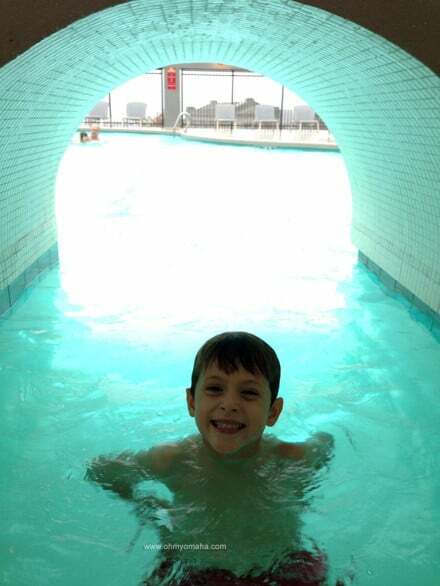 OK, I’ll admit, the tunnel was fun for me to swim through too. You can order food to be delivered to the pool area, which sounds like a good idea if it’s summer and you’re in the mood to lounge around all afternoon. The rooms are pretty comfy – we had two double beds. We lucked out with a partial view of Crown Center and the Ice Terrace skating rink. It’s a charming scene at nighttime. 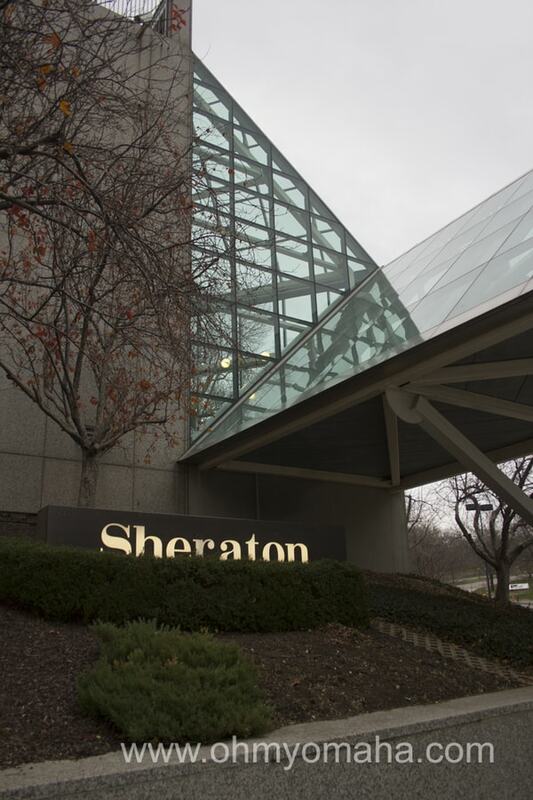 Sheraton is connected to being connected to Crown Center and Union Station attractions by the climate-controlled Link system. Use it! 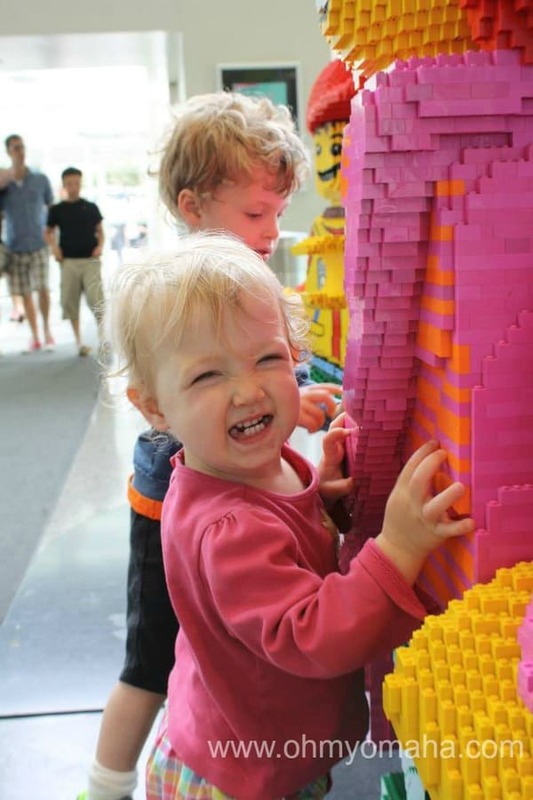 Parking can get pricey, so if you just pay for your hotel parking ($17-$24/day), you can go to attractions like SEA LIFE Kansas City Aquarium, LEGO Discovery Land and Science City. 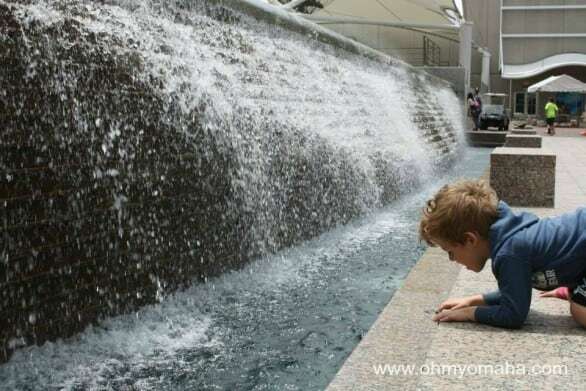 Here’s a roundup of what’s walkable from the Sheraton – walking with two kids under 7, with a pit stop for lunch at Crown Center. 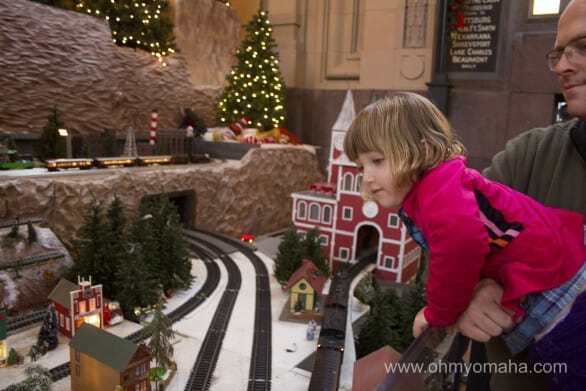 – Union Station – Be sure to check what traveling exhibition is there! 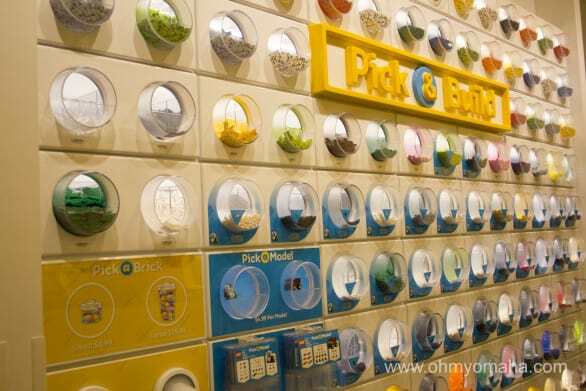 – The Money Museum at the Federal Reserve Bank (you receive a complimentary bag of shredded currency there as a souvenir – worth $165). One of the best breakfasts I had in KC was at the Blue Bird Bistro, a little more than a mile from the hotel. Another good and quirky choice for breakfast is You Say Tomato, also a little more than a mile from the Sheraton. 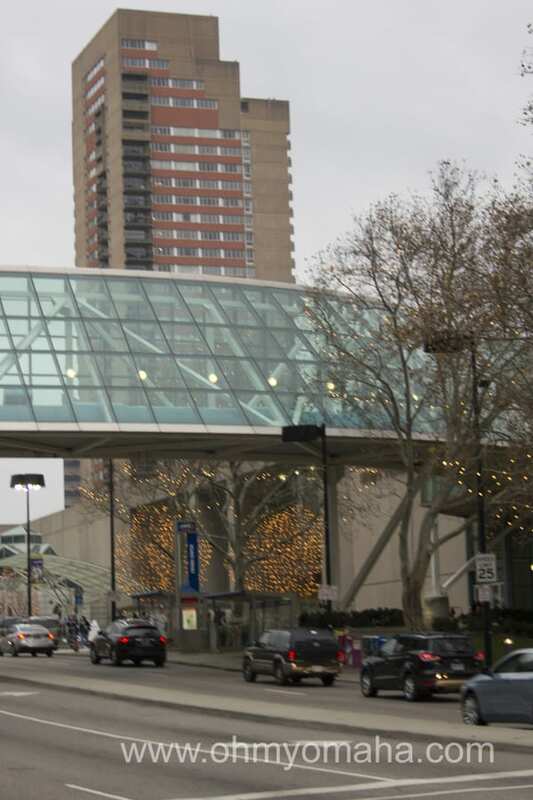 You’ll find a handful of restaurants at Crown Center, which is a mix of chains like Panera and unique kid-friendly spots like Fritz’s Railroad Restaurant and, on the other end of the spectrum, the upscale The American. 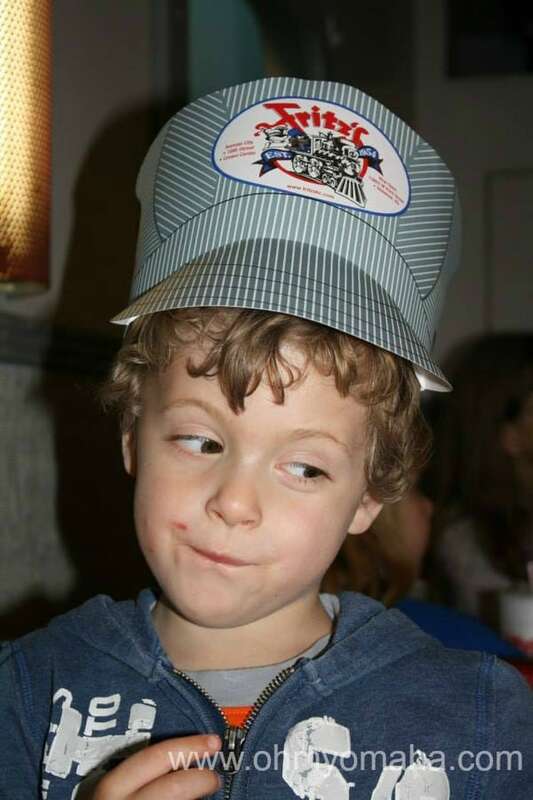 I know people who swear by Fritz’s – it’s where the model train delivers your food to the table. 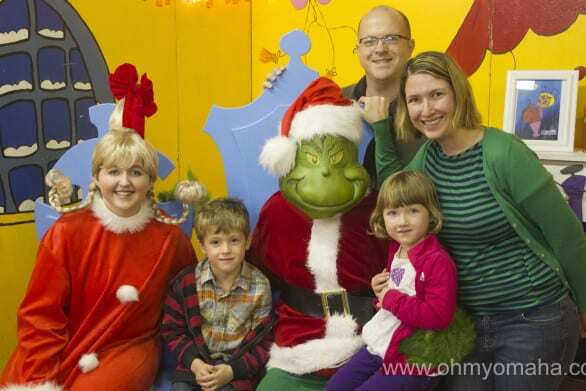 Personally, the food was not worth the wait to me, but yes, the kids loved it. Union Station has a couple restaurant choices, including Harvey’s at Union Station (I hear brunch is good there). Jack Stack BBQ has a location that’s near Union Station and I’d recommend it. If you head to Crossroads Arts District, you’ll find some unique places to eat including Lidia’s KC (if you’re a big PBS fan, you know who she is). The Sundry and Cafe Gratitude were recommended to me, but I don’t know if any of those are kid-friendly. When it was just me and Mr. Wonderful in Kansas City, Crossroads was a fun place to visit, and if we get another couples-only vacation to KC, we’ll go back there. Where: 2345 McGee St., Kansas City, Mo. 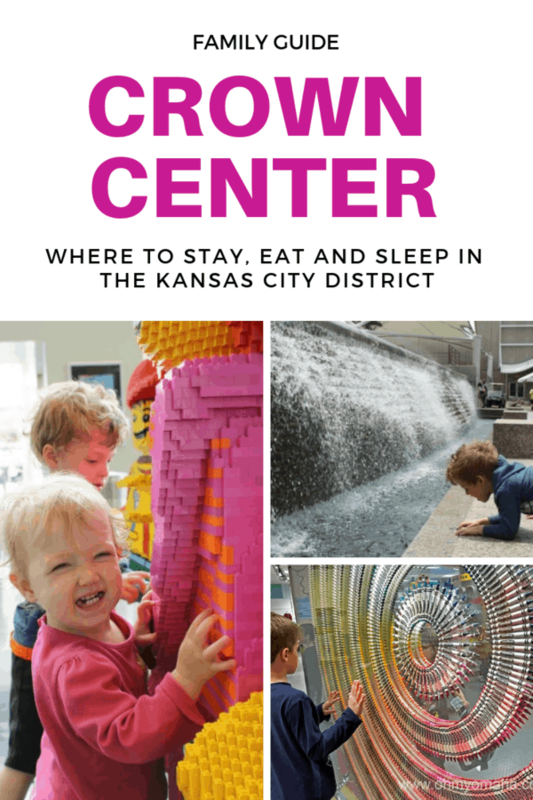 Kansas City has all the makings for a family vacation: Kid-friendly attractions, great restaurants and convenient hotels. 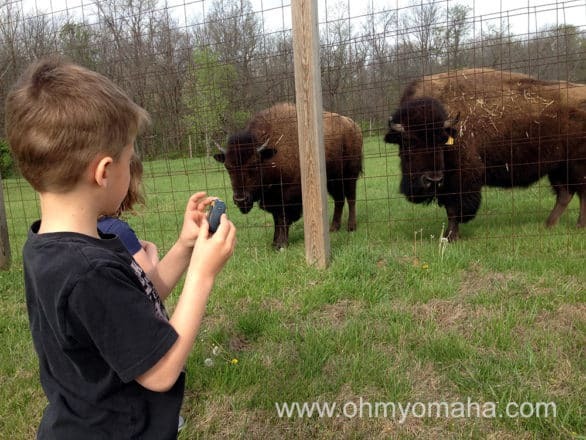 On a recent trip with our kids, ages 4 and 6, we discovered some new favorites that we will certainly revisit the next time we’re in the area. 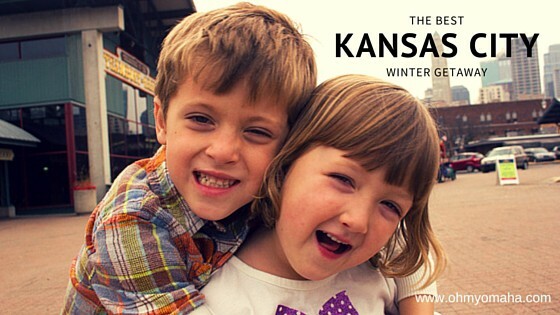 Our winter trip was jointly hosted by Visit KC and Visit Overland Park. The trip was so memorable, my 4-year-old daughter has taken to say “I love you to Kansas City and back,” in place of the silly old moon. 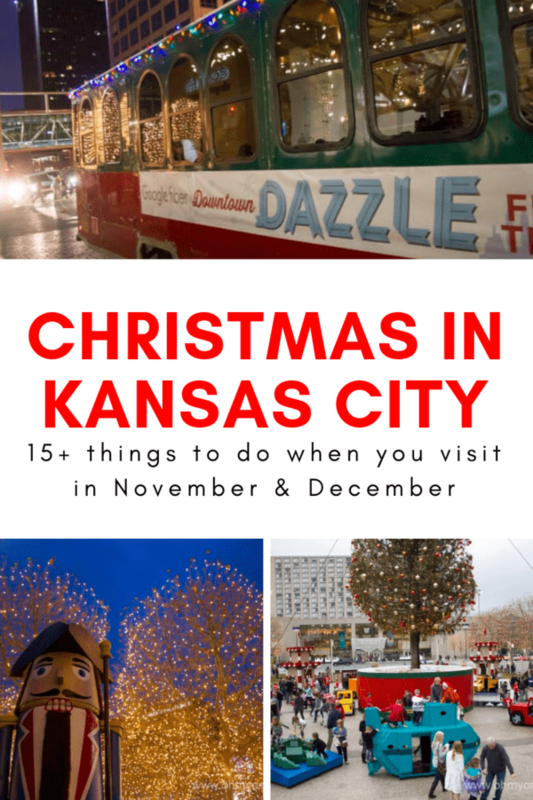 Here are some of the highlights you’ll want to check out the next time you’re in KC with kids (any time of the year!). 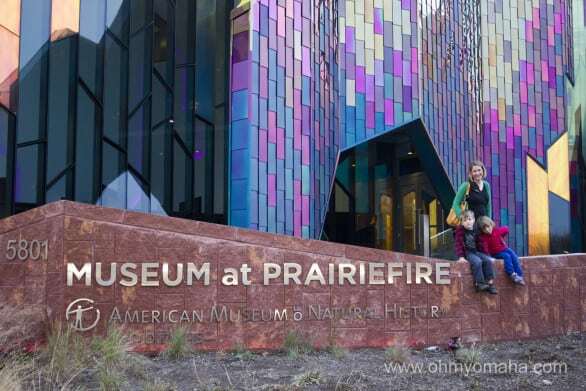 The Museum at Prairiefire in Overland Park, Kan.
One of the first stops on our trip was the Museum at Prairiefire in Overland Park, Kan. There’s a fun interactive screen in the lobby that you’ll be attempted to play with – you can create a dinosaur or dragon and then see it on the screen. Try to bypass it to explore later on because you’ll want to head straight to the Discovery Room upstairs (after paying admission, of course). 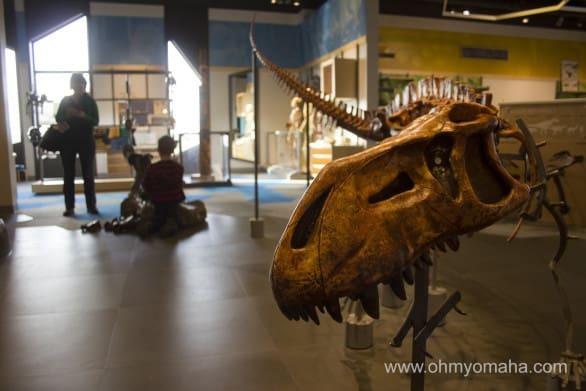 The first area at the Museum at Prairiefire my kids headed for was the paleontology section. The other place my kids loved so much they made us promise we’ll return the next time we go to KC was Science City at Union Station. Science City is a science center located inside Union Station in downtown Kansas City. 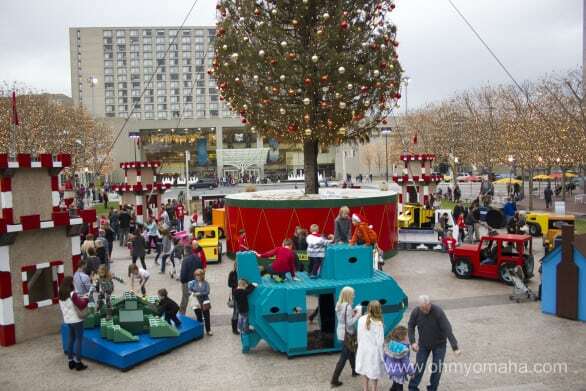 When you go to KC with kids, keep in mind that there are so many kid-friendly places with FREE activities, and apparently so do the masses. They’re crowded, so there’s the drawback. But the fun usually trumps any crowd factor, in my opinion. 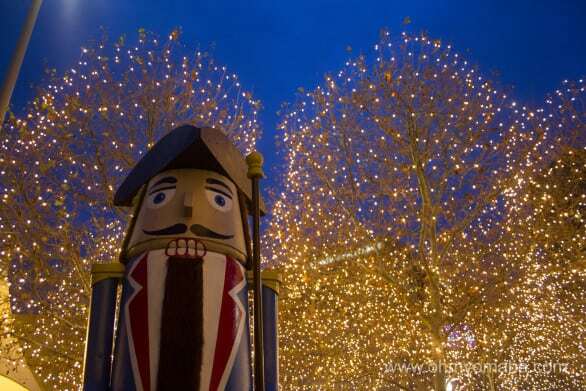 We stopped by Crown Center District twice during our weekend trip, since our hotel was so near it. 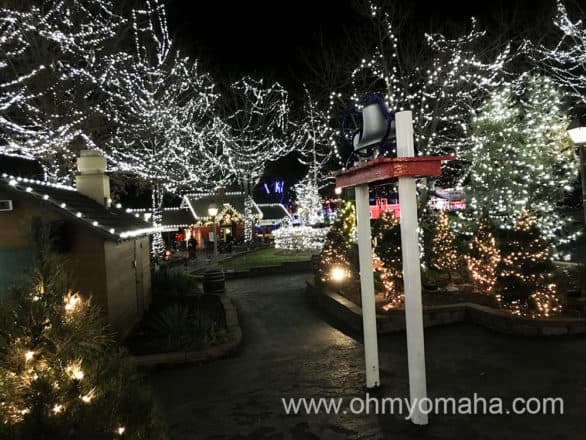 I love the outdoor area there, especially at Christmas time. 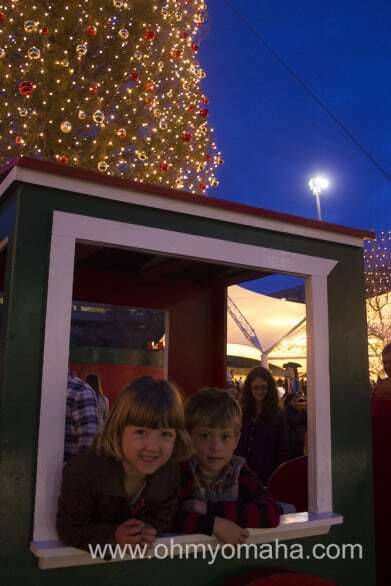 Playing at night in front of the Mayor’s Christmas Tree at Crown Center. 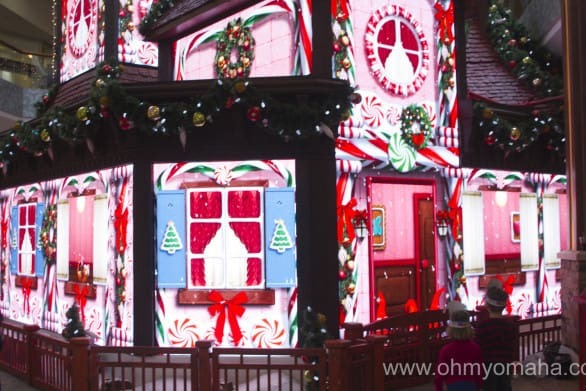 It’s lit up spectacularly, and the kids enjoyed climbing on all the wooden structures set up around the Christmas tree (they’re not there year-round). We meant to visit Kaleidoscope, Hallmark’s FREE art-making area at Crown Center, and the gingerbread house display but nap time prevailed. 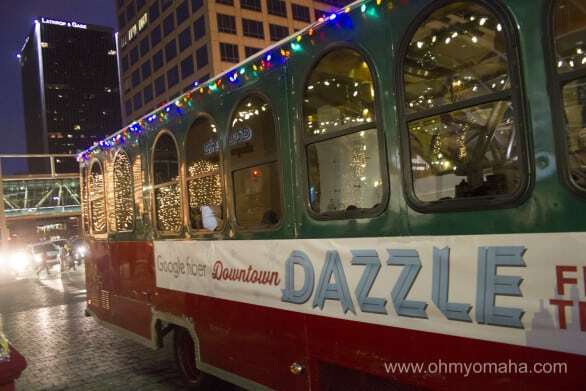 The Downtown Dazzle trolley drove families to different attractions in Kansas City. 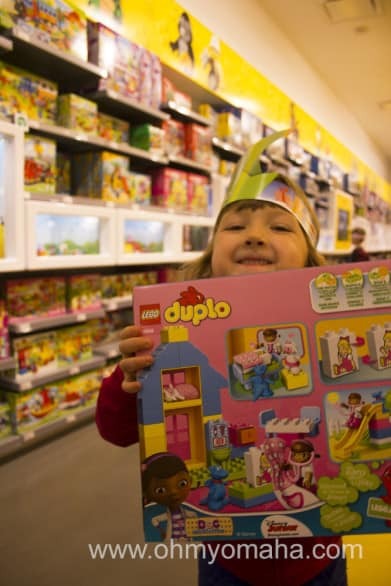 I did not shop nearly as much as I intended to – this was going to be prime Christmas present shopping time. 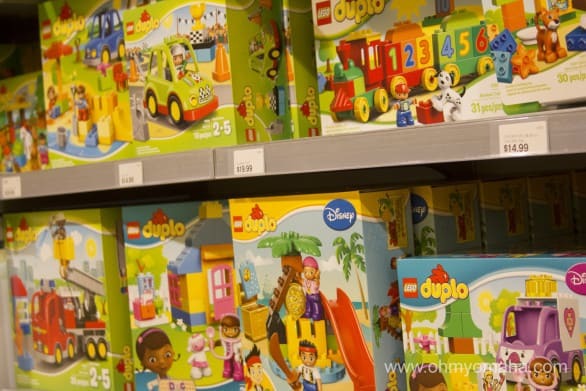 But my kids don’t think shopping is fun, so there you go. 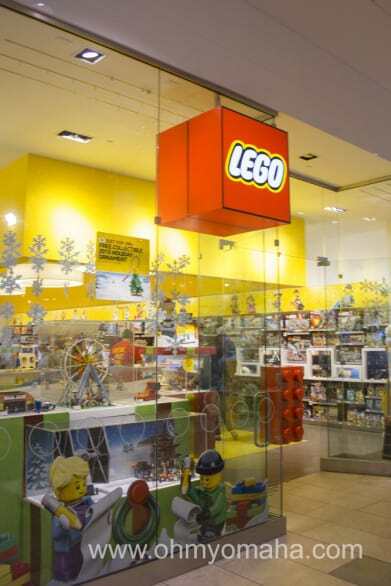 LEGOs, LEGOs, as far as the eye can see. 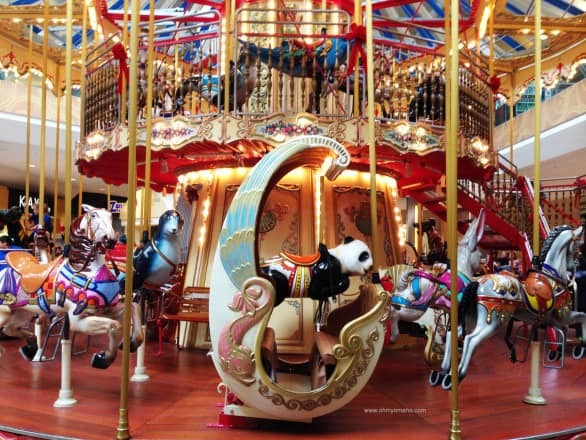 There’s a carousel in the middle of the mall where you can park your kids for a little bit. 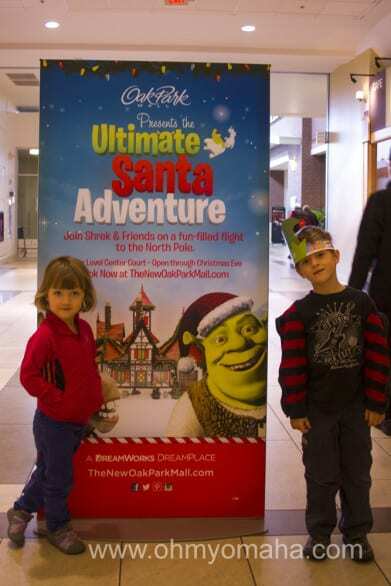 The two-story carousel at Oak Park Mall in Overland Park, Kan.
For the younger set, there’s a play area. Want to buy some unique gifts? I think the City Market and surrounding streets is a good spot. You can buy food and spices from around the world, or on the weekends, head to the farmers market to buy locally-made goods from crafts and home décor to soaps. 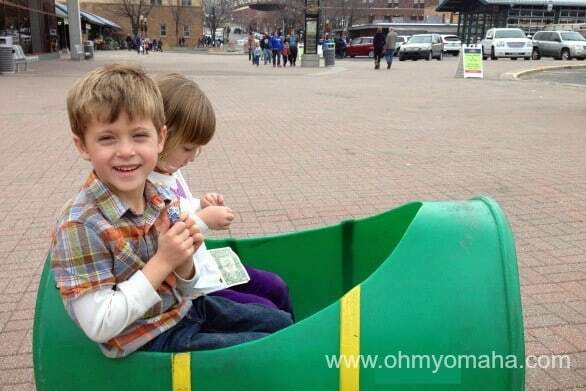 This smile says “I got a free sucker on this train, Mom…Ha!” The kids could ride this mini train at the City Market. 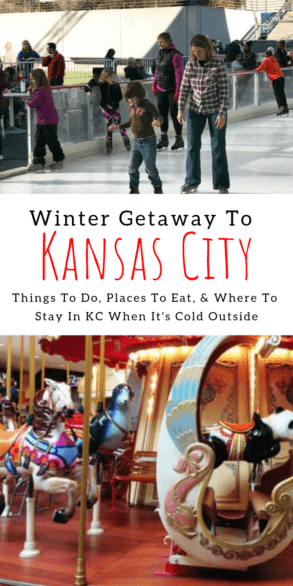 If you’re planning most of your trip to be in downtown Kansas City, the hotels around Crown Center are smart choices, particularly in the winter. They’re connected to major attractions by the Link, a series of enclosed, elevated walkways. We stayed at Sheraton at Crown Center and enjoyed using the tunnels to get to Crown Center, and further afield, Union Station. It totally beat driving and parking, or walking (it rained one of the days we were there). 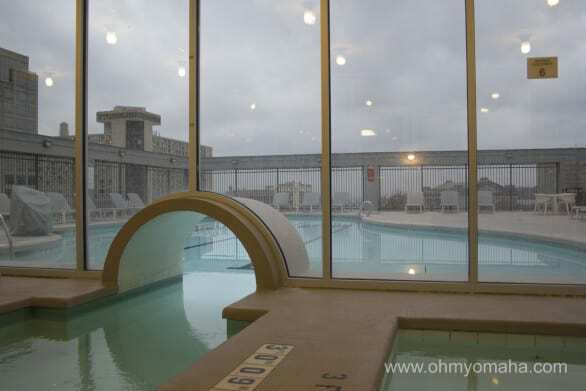 Another highlight of the Sheraton was its rooftop pool, which is heated and open year-round. The little tunnel was a kid favorite. Sheraton Kansas City at Crown Center’s rooftop pool. 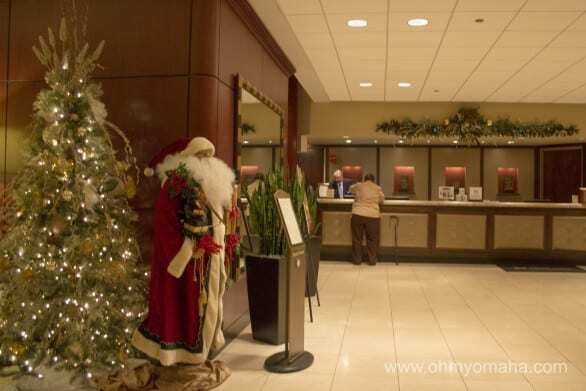 If you’re looking for a spot closer to Country Club Plaza, which is decorated with thousands of lights each holiday season, check out my review of the Holiday Inn in Kansas City. South of downtown Kansas City is Overland Park, a more suburban area. 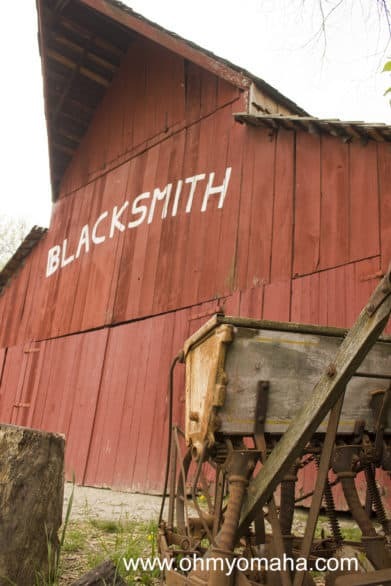 The DoubleTree Hotel is located a short distance from the interstate, and nicely located between some of our favorite parts of town – the Museum at Prairiefire, Oak Park Mall and Deanna Rose Farmstead. The highlight for my kids was the pool. As usual. The DoubleTree pool, AKA, the best part of the hotel according to my kids. Not pictured are the little whirlpool and sauna. We had two connecting rooms there and it opened my eyes to a whole other way of travel with kids (king-size bed in one room, two doubles in the other). Mr. Wonderful and I agreed this was the way to go from here on out. Service at both hotels was top notch and super friendly, especially at the DoubleTree where I left with a smile because so many people made us feel so welcomed. 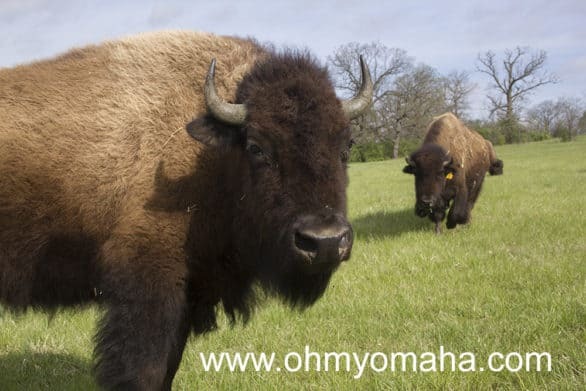 I had grand plans for dining in Kansas City – lots of barbecue, maybe a gastropub, a stop at popular breakfast joint. There are so many great places to eat and Instagramming to be done. But travel with kids doesn’t always go as planned. Mornings were spent in the pool followed by the hotel’s breakfast instead of my quaint breakfast joint, but that’s just how it goes. Not to bash hotel breakfasts, I’m just a weirdo who seeks out the top breakfast restaurant in most cities. 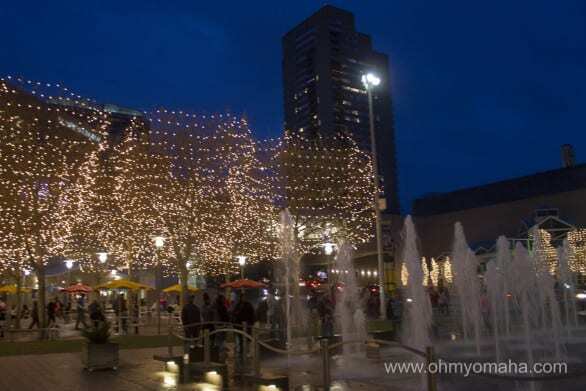 We dined a few times at Crown Center, given its proximity to the Sheraton and some of the activities we had planned. I wish I could say they were great picks, but I was disappointed with the service at both restaurants and the dessert place. 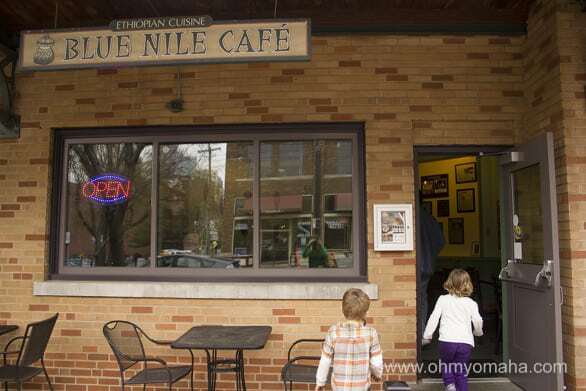 If you’re an adventurous eater, try the Ethiopian restaurant Blue Nile Cafe at the City Market in Kansas City. You’ll love the flavors. 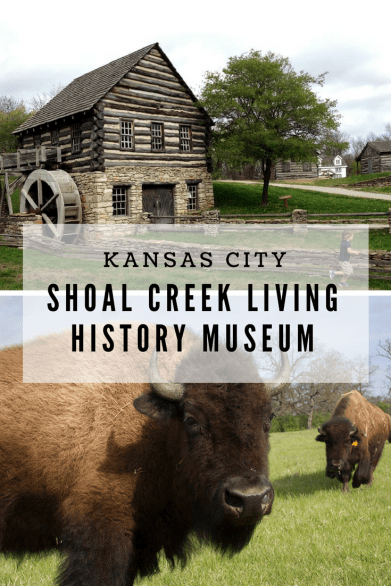 Disclaimer: Our visit was hosted by Visit KC and Visit Overland Park. All opinions expressed are my own. This post is linked up to other fun travel posts on the #WKendTravelInspiration link here.